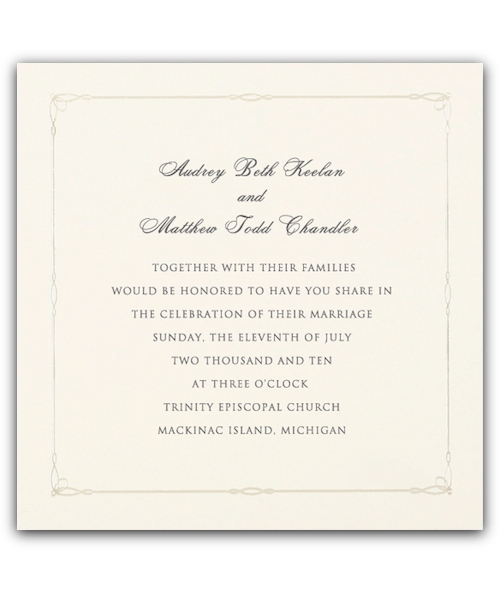 This wedding invitation with an ornate pearl border is known as the Victorian Pearl, it's a beautiful gentle design. The dimensions of this card are 6 1/4" square. We have some beautiful examples and variations of this card here in the studio. It always receives positive feedback. The border is delicate and beautiful. 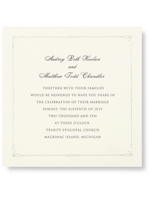 This card is available in Ecru only but there are many options to choose from in fonts, ink colours and envelope liners.